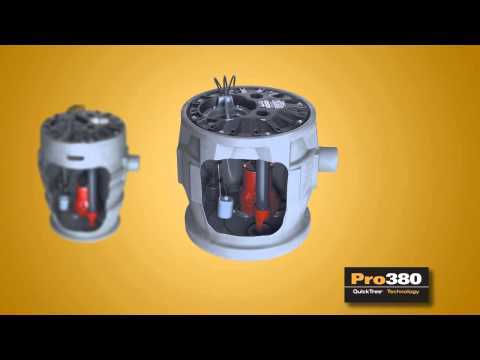 The Pro380-Series from Liberty Pumps is the most advanced residential sewage package available! The Pro380-Series features a large 41 gallon capacity tank with integrally molded handles and an anti-flotation collar. This Liberty sewage package arrives from the factory pre-assembled with QuickTree Technology saving valuable labor time on the job site.